A peaceful Cotswold Village, renowned for its Morris dance traditions, celebrated annually at the Bampton day of Dance (May Day). Originally known as 'Bampton in the Bush', as it was a difficult place to find in the Middle Ages, being well off the beaten track. 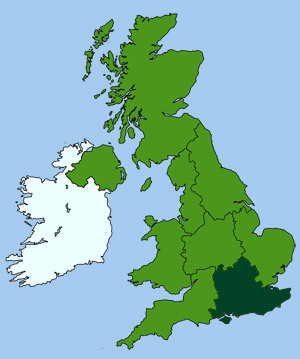 A fortunate circumstance that has helped to preserve much of its oldy-worldy charm. The village has a number of pleasant Cotswold stone houses, dating from the 17th and 18th century, a minute town hall and a magnificent church with a 160ft (48m) spire, supported by 4 flying buttresses. 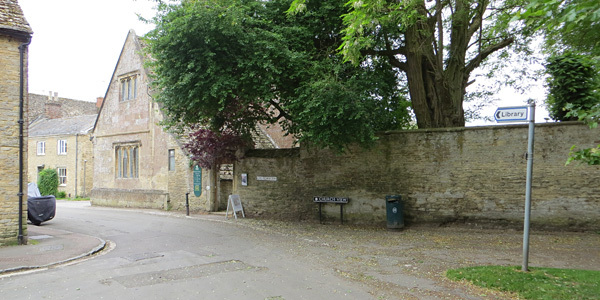 If you visit Bampton you will find that parts of this lovely village may seem very familiar. This is because it was used for filming village scenes in the TV series 'Downton Abbey'. 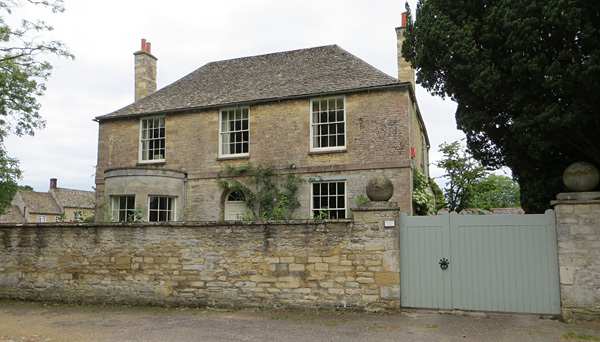 For example, the Grade II listed rectory 'Churchgate House' (shown above), featured as Mrs Crawley's House, and the old Grammar School (shown below) served as Downton hospital. 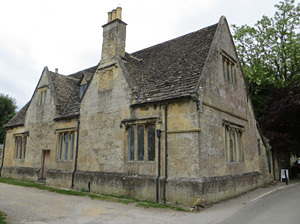 The old Grammar School Building now houses the village library (Bampton Community Archive), which is worth visiting just to peruse its displays of old photographs of village life. Visitors can also view and purchase memorabilia from the television series. The old village hall, in the centre of the village, hosts an art gallery with a regular changing exhibitions and art displays.